5 bedroom, 5 bathrooms, 2 swimming pools! 3 minutes golf cart ride to the beach!Tryall Resort Membership. Exclusive resort features for this villa. Bali Hai Villa in Montego Bay is one of the most attractive and spacious Jamaica villas located within the renowned Tryall Club Resort. 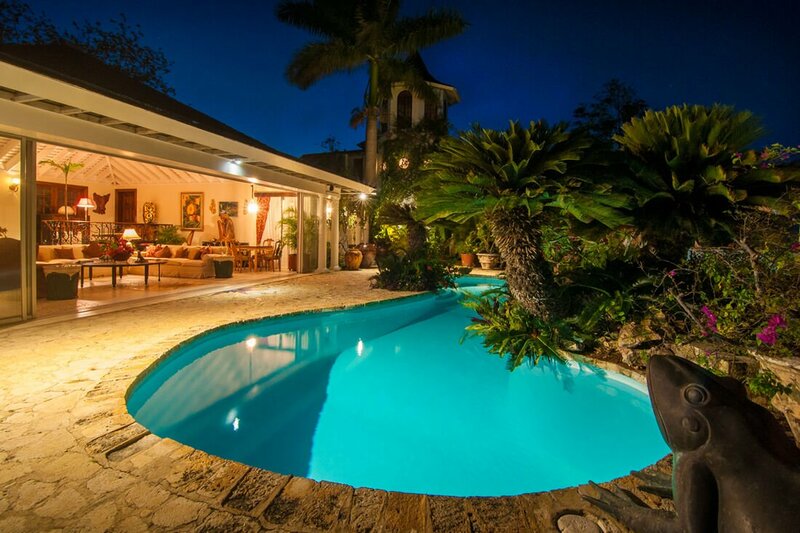 Being situated near the golf course greens, the charming villa provides picturesque views of the Tryall Golf Course and the shimmering waters of the Caribbean Sea. 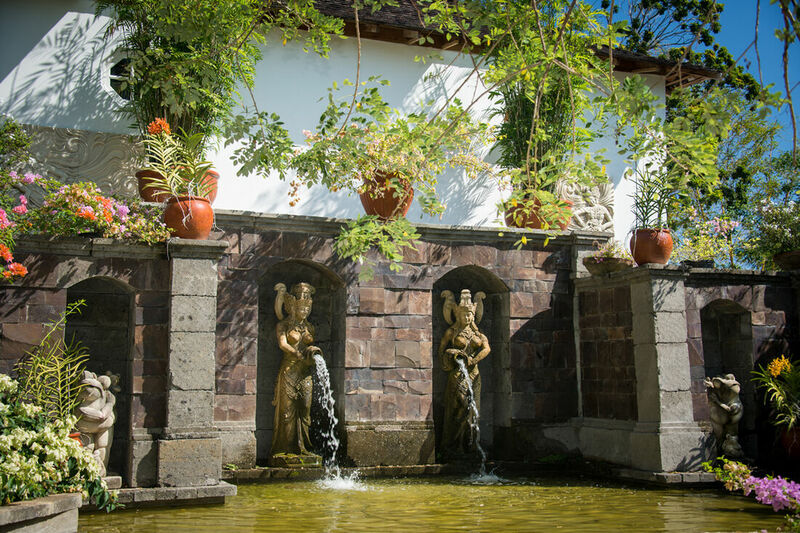 Bali Hai 's distinctive architecture makes it very spacious and provides additional privacy. 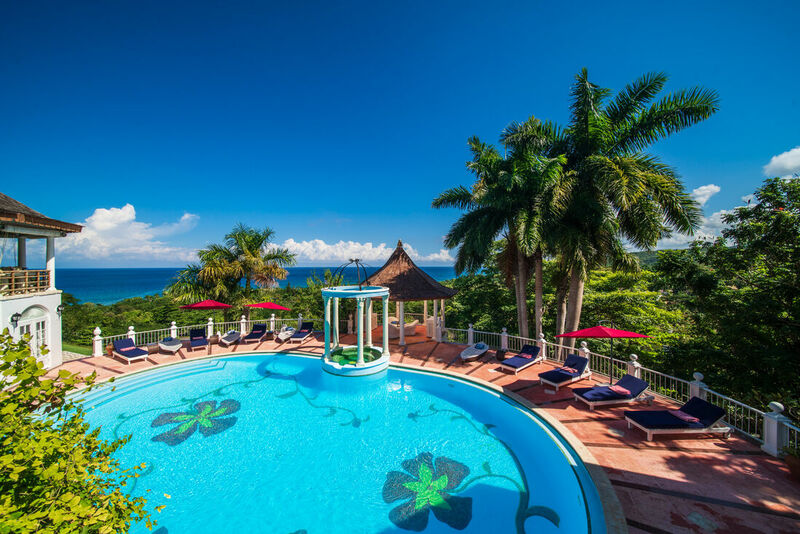 The sprawling three-level villa provides numerous features, facilities and luxuries, which make it one of the most fantastic luxury villas Jamaica. 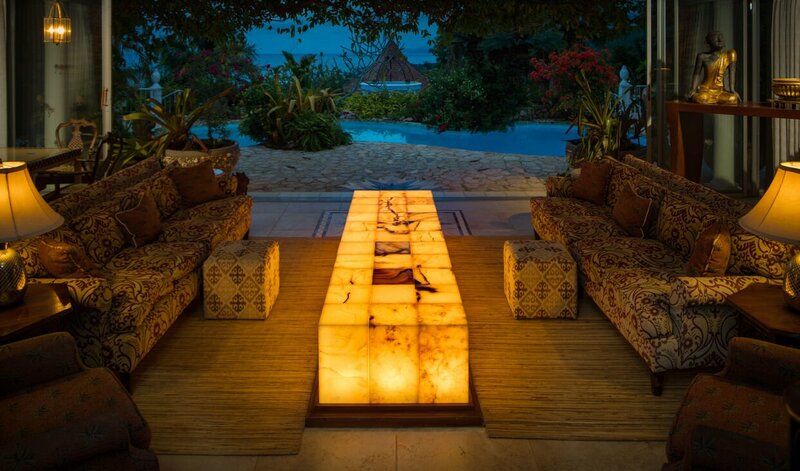 The elegant living room at Bali Hai Villa is an amalgamation of influences from Africa, Europe, Asia and the Caribbean. Guests can enjoy contemporary entertainment options such as cable television, DVD and CD players, and an amazing sound system, while indulging in cool and refreshing Caribbean cocktails at this extraordinary villa in Jamaica. Bali Hai Villa has five spacious bedrooms located on three different levels. One bedroom is situated on the ground floor, two on the second level and two more on the uppermost level. The bedrooms are furnished with king-sized, queen-sized or twin beds, and cable televisions. They are all air-conditioned, have private patios, en suite bathrooms and individual safes. 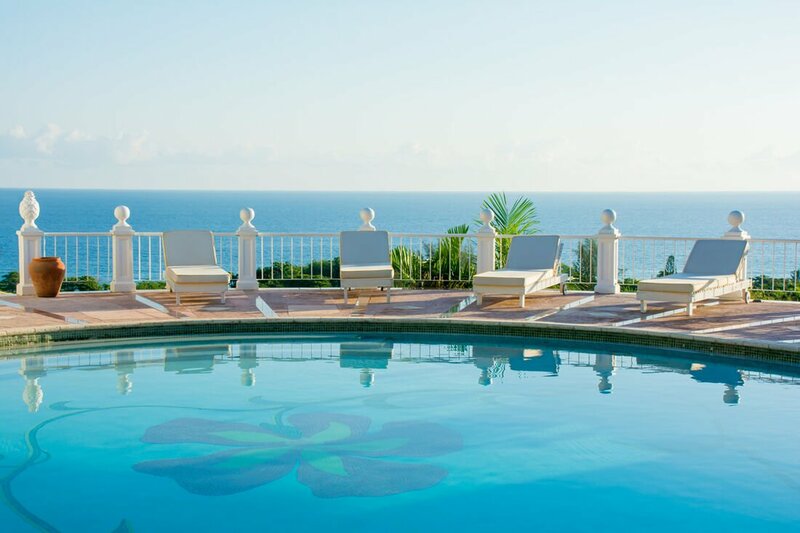 French doors in the bedrooms make them bright and airy, while providing incredible views of the glittering Caribbean Sea and the surrounding picturesque landscape. The lavish and spacious Great Room is located on the main level of Bali Hai Villa. A spacious kidney-shaped swimming pool provides several hours of entertainment and relaxation. The dining area, bar, gazebo and kitchen are all spacious. Dining at Bali Hai Villa is a luxuriant experience, unique in itself and very sophisticated. Meals comprise a diverse selection of cuisine from the world over. 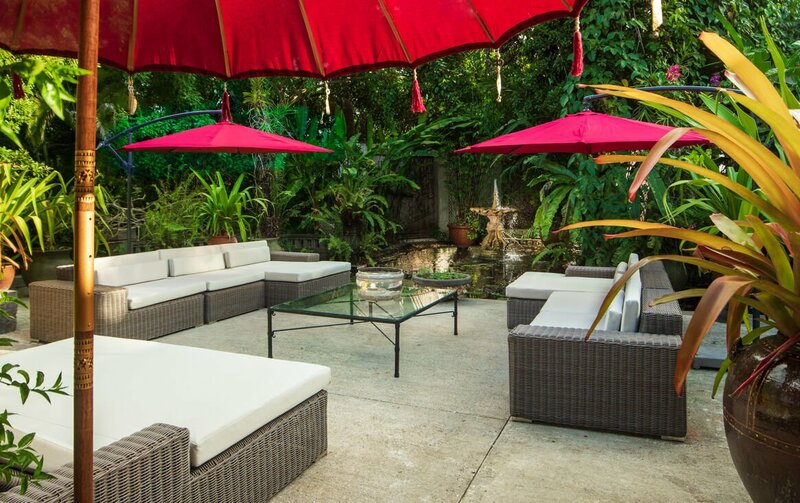 A special gazebo is dedicated towards creating unique dining pleasures. 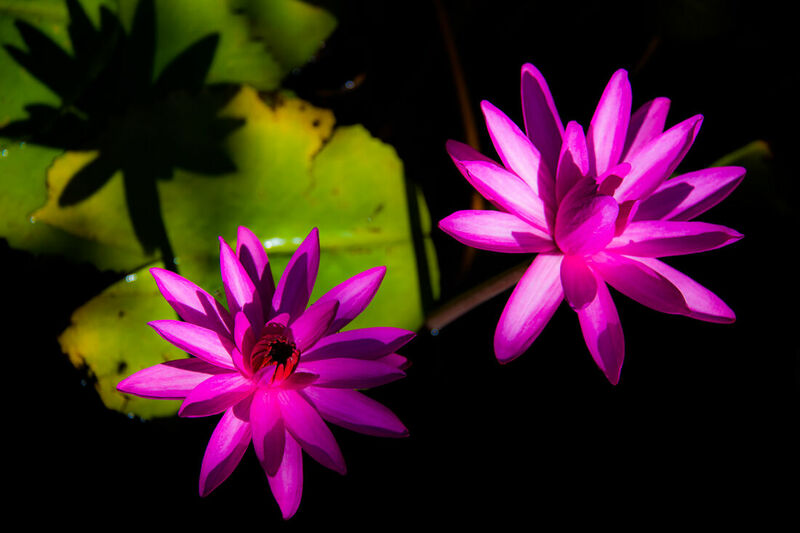 The gourmet cook has exceptional expertise in exotic Caribbean cuisine. A second expansive swimming pool, equipped with a divine whirlpool feature, is located on the middle level of Bali Hai Villa. The poolside bar with an icemaker is very convenient and ensures that the guests’ tropical drinks are always cool and refreshing. Guests at Bali Hai Villa have two complimentary golf carts at their disposal. 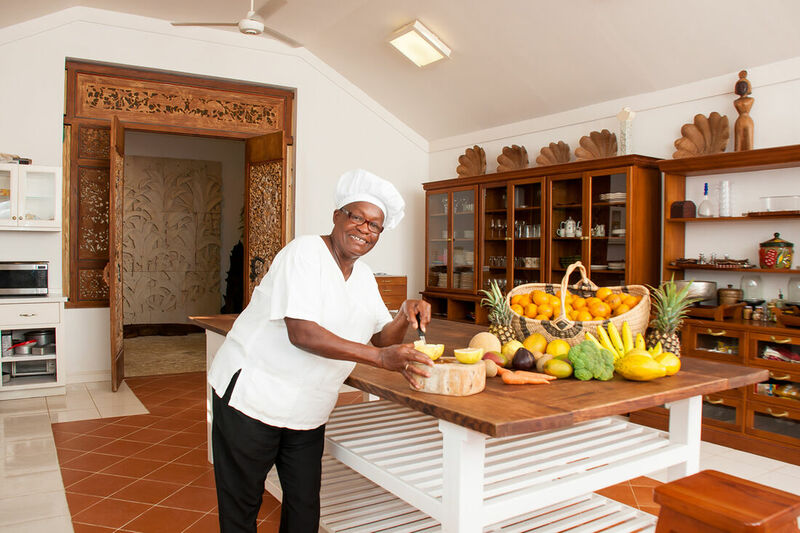 The villa’s private staff includes a butler, cook, laundress, three housekeepers and two gardeners. 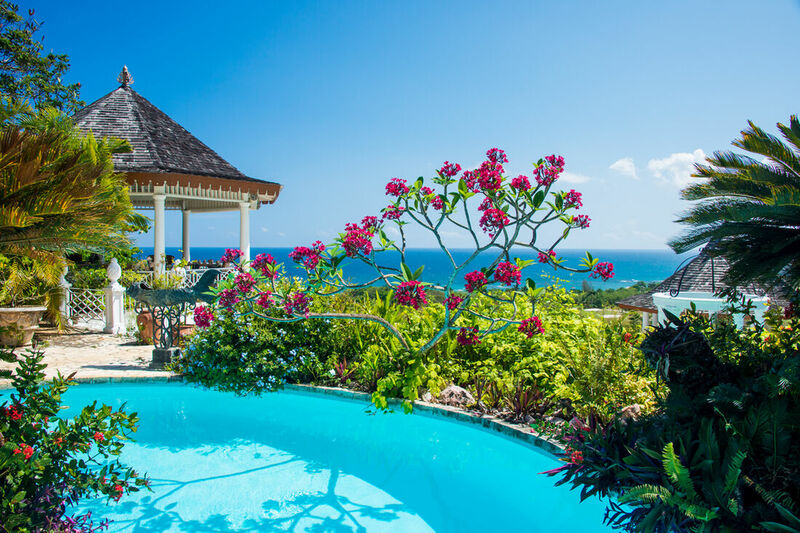 The numerous facilities, a luxuriant ambience, beautiful location, sophisticated décor, extensive gardens and proximity to Tryall Resort, make Bali Hai Villa one of the most exclusive villa rentals in Jamaica. King-size bed, pink marble floors, large bathroom with walk-in shower and separate bathtub, double basin mahogany vanity, telephone. Opens to upper terrace. King-size or twin beds at guests' request. Tub-shower combination. Ideal for children (just 30 feet from the Master Bedroom) but perfectly suitable for adults. Double bed, walk-in shower, double-basin vanity, telephone, 7 louvered doors to view of golf course and ocean. 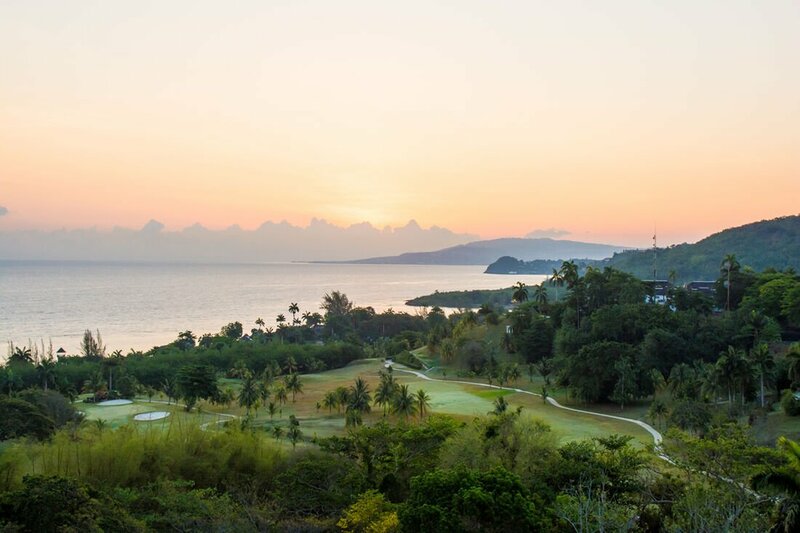 Queen size bed, walk-in shower, 7 louvered doors to view of golf course and ocean. King-size bed, walk-in shower, double basin vanity, telephone, 7 louvered doors to view of golf course and ocean. Extremely private. Each bedroom has remote control air conditioning, cable television, safe... and exquisite view. Each bathroom is en-suite and features large mirrors, Italian tiles, hand-painted walls and original art. Security deposit of $500.00 is required prior to arrival.